In the South Indian region of Swamimalai, bronze sculpting is a way of life. 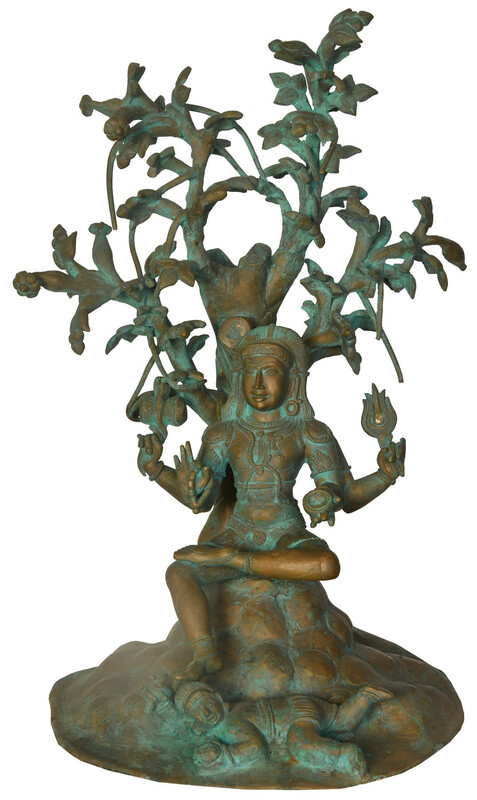 Featuring Lord Shiva in the form of Dakshinaguru (the eternal Guru) and a pastel yet shimmery finish, this sculpture testifies that bronze has a decidedly artistic, elite whiff to it. 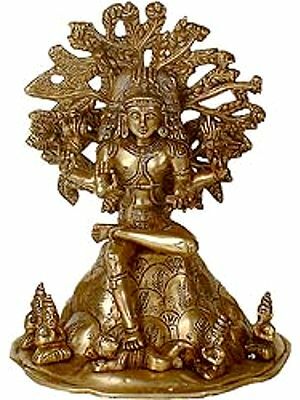 The members of the Chola dynasty constituted the key patron group of bronze sculpture, who demanded great skill in this art form, funded innovative methods that have gone down in history, and caused the golden age of bronze casting to flourish in the subcontinent. 11.6" X 9.0" X 6.4"